Have You Ever Thought About Owning Your Own Mini Salon Suite? Whether it’s because you’ve had a confusing interaction with a manager during a quarterly review, experience a persistent feeling of knowing you’re not reaching your potential in your place of employment, or just wish you could make a living off of your dream career, you’ve likely thought about starting your own business. For many people, this might be something like an online handmade jewelry store—a side-hustle to do on evenings and weekends. But for others, the dream is to take their knowledge, talent, and skills to start off on their own in the industry they’re already involved in. Take the beauty industry, for example. Hairstylists, nail techs, massage therapists, and others can certainly thrive when working for others, but many beauty pros want to take the plunge and be their own boss. Moving from being an employee to being a business owner can seem expensive and intimidating, but it can easily become your reality, especially if you live near Salons de Beauté in Lawton. The truth is, fear is the hardest thing to overcome when it comes to making the jump from employee to entrepreneur. Think about it this way: you already have the passion, you already have the drive… or you wouldn’t be considering the move in the first place! Finding a location for your beauty business can be tricky, especially when you’re working on a budget, but it’s also extremely important to have premises that look professional. Beauty is all about trust, and your clients want to feel like they’re in good hands. Clean premises with a relaxed, salon-like feel in a high-traffic area will do wonders for your business. And if you can establish your business near similar ones, you can enjoy the “multiplier” effect where business brings business—you know, like having a coffee shop next door to a dry cleaner. Even better would be a setup similar to what you’d enjoy at Salons de Beauté in Lawton. If you’re a nail tech who accepts walk-ins, and your next-door neighbor is a hair stylist who gets a bit busy on the weekends, boom. That’s traffic you might not have had otherwise! That’s why small businesses find locations next to other successful businesses—impulse traffic can be a huge income source. Plus, the extra parking can make it a lot easier to get in and out of your business! While a search for affordable commercial real estate can seem overwhelming, it won’t be so bad. After all, commercial spaces are more valuable to their owners when they’re leased, so they’ll price themselves competitively. The big problem is actually finding an affordable space that’s already set up for what you want to do. Even if the price on a space is right, and the location is to die for, if it used to be a pizza place or an office, it’ll cost far too much to install cabinets, shampoo bowls, styling chairs, sturdy countertops, mirrors… everything you’ll need to be a small salon. But if you live in the Lawton area, there’s a good solution at hand. Salons de Beauté in Lawton is affordable—most of our clients pay about $130 a week for a mini salon suite between 9×9 and 9×11 that has everything they need and nothing they don’t. Our space is welcoming to clients, with privacy doors and salon-like waiting areas. We also have great parking for them and on-site laundry facilities for you. We understand that any rent can seem like a lot when you’re used to just receiving a paycheck at the end of the working week, but in reality, the cost of a space for your own salon is easily covered when you’re keeping all your monthly service revenue and every single bit of the profit from your retail sales. Many of our leasees here at Salons de Beauté have found their income has doubled or more when they don’t have to share revenue or product sales. A mini salon suite might not be the space you first imagined when you began to dream of owning your own business, but when you really think about it, a smaller space can mean big things for you. Whether you’re starting out as a small business owner or downsizing because you’re tired of running a huge salon, less will be more when you lease with Salons de Beauté. Stylists and beauty pros can only really service one or two clients at a time, so you don’t need a ton of space to do your job exceptionally well. What you need is enough space to work with your customers, show off your products, and move around without banging into things. The waiting area at Salons de Beauté allows early arrivals to sit and relax while you finish up with your prior client, so you don’t need a seating area. You just need room to work, and you’ll have it—with storage, too, and all the amenities. What Next for Your Salon Business? If what we’ve said has got you thinking that leasing a mini salon suite might be the right choice for you, well, it’s time to take action. The year is ending, you’re starting to think about what the new year will bring. If you’ve fantasized this year about outfitting a salon space, creating a new client base, selling your favorite products, and more, it’s time to pick up the phone and call us today! Salons de Beauté is a great choice for any stylist or beauty pro interested in branching out into managing their own business. Contact us today! Salons de Beauté offers beauty professionals the opportunity to own their own business and be their own boss. Have you ever dreamed of opening your own salon where you could stock the products you love and perform the services you enjoy the most, all in an atmosphere that perfectly suits your professional goals and personality? At Salons de Beauté, you can, but without the massive overhead that comes with establishing your own premises. Salons de Beauté leases mini salon suites to motivated individuals who want the freedom of owning their own business without the hassle. Our facility leases to all sorts of beauty professionals, from hair stylists to nail techs, massage therapists to aestheticians, more. We’re a community! There are many great reasons to lease a mini salon in Lawton from Salons de Beauté, but today let’s talk about the six best ones. Read on to find out why it might just be the right choice for you! For many first-time business owners, the idea of starting your own business may seem intimidating. But Salons de Beauté can take a lot of the anxiety out of making the leap from employee to owner! Sometimes the perfect-seeming building needs a lot of infrastructure put into place, which can take time and be a money sink. Fortunately, Salons de Beauté was designed to be an efficient, ready-made space for beauty professionals. We thought of everything, so you don’t have to! We want to help you get your doors open as quickly as possible. There’s plenty to learn about owning a small business, but you’re an experienced salon pro. You know the health code, you know what clients expect from you. You just need to put it all together, and we can help! From our efficient spaces to our ongoing blog full of tips and advice for new business owners to our community of professionals, we’ll help you get where you need to be. All you need is to get your Establishment License and your OK Board of Cosmetology and Barber License! At Salons de Beauté, you’re a business owner and beauty pro! You really are your own business: you schedule your own appointments, and you choose your own clients. You can access your business at any time of the day or night, and you have the security of having the key to your own private space. If you’ve dreamed of running your own business without the risk of getting too busy for the creative side of beauty work or ongoing educational opportunities, Salons de Beauté is where you need to be! You Control Your Own Service and Retail Product Sales! Do you dislike the fumes from coloring hair? Maybe you don’t feel hot stone massages have as much therapeutic benefit as some others do. Well, when you lease your own mini salon suite from Salons de Beauté, you determine what services you offer! You can specialize as much or as little as you like. You can also decide which products to sell to your customers. Everyone has their favorite line of beauty products, from shampoos, conditioners, and hair treatments to face care lotions, oils, toners, and scrubs. When you own your own business, you don’t earn a commission on products sales, but instead keep 100% of the profit. You can cross-sell knowing you’re selling your clients only products you personally believe in, while keeping more of the income! 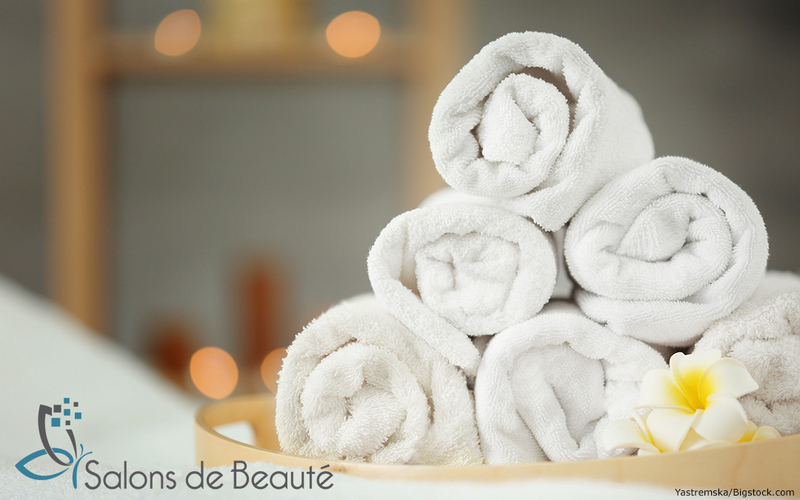 Premium locations mean premium rent… but not at Salons de Beauté! Salons de Beauté has a sweet location in Lawton, in the Junction Shopping Center on E. Gore Boulevard, across from the Apache Casino Hotel. It’s a high-traffic area that hosts millions of visitors every year. An attractive space is also crucial to a salon’s success. At Salons de Beauté, we spared no expense when it came to interior design. You’re welcome to decorate your mini salon suite however your feel reflects your individual style, and our premises are modern and chic with benefits and amenities you’d find while working in any upscale salon. Your utilities are included, and your space comes with styling chairs and ceramic bowls for shampooing. Our styling dressers have large mirrors, and each space has tons of storage. Your clients will also benefit from our amenities, like free Wi-Fi and a salon-like waiting room! Salons de Beauté is actively interested in the success of people who lease space from us. We help you promote yourself, grow your brand, gain recognition, and obtain regular business. We use our social media platform to name-drop our amazing talents, and even have in-house events to promote them. We also encourage our leasees to send business to their fellows. The “multiplier effect” brings business to business! Becoming acquainted with your fellow stylists and beauty professionals means you can start a network of referrals that will get more clients in everyone’s door. You Can Open the Door to Your Own Salon Suite Today! Salons de Beauté in Lawton, OK has twenty-six mini salon suites where beauty professionals just like you can open your own small business. We are actively seeking professionals who work in the health and beauty industry to lease our mini salons and start their own business for a tiny portion of what it would cost to do so in a larger salon. Our dream is to help yours come true, and we’re ready and eager to do so. If you need advice or recommendations, contact us about a salon suite. We’ll tell you what’s available, and answer any questions you might have. There’s no better time to get yourself set up with your own small business that will change the way you work forever! At Salons de Beauté, you can achieve creative control of your business while still making sure you’re providing the services you enjoy. We know you’ll fit right in! Salons de Beauté is eager to get you set up in a mini salon suite. Contact us today and let’s talk about how to get you running your own business! Even if you like where you’re working, it’s always good to have a backup plan in case something goes wrong that’s beyond your control. Salons are businesses, and businesses go out of business, or they’re sold to new owners who want to hire new staff or take the place in a different direction. 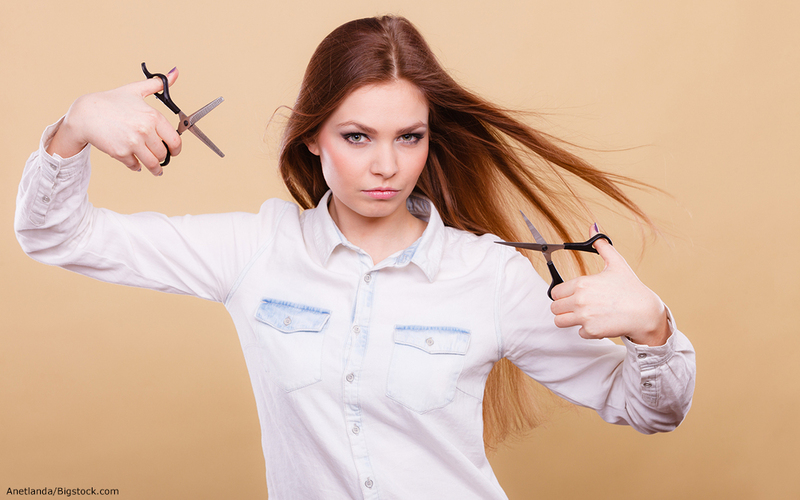 Sometimes your current salon won’t let you perform the sorts of services you’re interested in, or provide the sort of client care that’s best for you and your customers. Sometimes, no matter how much you like working at a place, the cost of renting a chair there makes it difficult to keep enough of your own money to make a decent living at the end of the day. All of the above scenarios could lead to the desire—or the need—to jump ship to another salon. Sometimes, no matter how much you enjoy your workplace, you need to leave it behind you. But if you find yourself in a similar situation to the above, don’t just move from one salon chair to another—consider moving to your very own mini salon suite. Maybe you’ve never considered being your own boss and going into business for yourself, but there are many reasons to think about it when it comes time to make a change in your life. When you own your own mini salon suite, you have more control over your clients, the services you offer, and your income. There are many great salons in Lawton—you probably already work at one of them!—but until you open your own, you’ll always be at the mercy of others. When you own your own salon suite, however, you’ll be in charge. For example, when you own your own salon suite, you’ll be able to charge your customers what you think your services are worth, and up-sell any additional services you provide instead of handing off coloring or brow waxing to another aesthetician. Not only that, but you can also sell product at a higher margin, meaning your motivation to cross-sell will be rewarded and reflected in your own bottom line. And speaking of those products, you won’t be limited in what products you can sell when you run your own mini salon. You’ll decide what deals to put in place, what brand lines to offer your clientele. You’ll know best what they want, and you’ll sell those items at a price point that will tempt them. Once you start thinking about owning your own mini salon in Lawton, you may find that you start thinking about lots of little things you would change about your current salon if you could. Maybe you think you’d do a better job managing than your current manager. Maybe you think you could set better hours of operation. Maybe you see ways you could be retaining more clients, or generating better word of mouth. Maybe you see ways you could provide better customer care, or don’t like the lack of unity among your coworkers. Or maybe you’re just sick of mandatory meetings! Whatever the case might be, a mini salon suite might well be the right place for you to move, when you’re ready to move. Salons de Beauté leases mini salon suites to self-motivated stylists just like you. Contact us today and find out how we can help you be your own boss! Red carpet events like the Oscars and monthly magazine spreads alike often feature amazing feats of hairstyling and coloring, inspiring nail art, new makeup application techniques, and the latest advances in skin care—as well as the results of them. It’s hard to keep up with it all, especially in this age of social media when the demand for a copycat hairstyle or nail job might arise on the basis of a random celebrity Instagram post! While plenty of stylists, cosmetologists, and nail techs get by on what they already know, the most successful beauty industry professionals are the ones who are continually looking to build on their skills so they can stay relevant and serve their current and prospective clients. Just like any other profession, the true professionals are those who stay up to date on what’s hot (and take the time to brush up on standard techniques that serve their entire clientele—not just the most fashion-forward among them). And that’s why it’s so valuable to allocate some time every year to continuing education in your field so you can learn all about new products and the latest techniques. While it may seem like “just another thing to do,” taking continuing education courses can actually revive your interest in your profession and bring you new energy! How? Well, not only will you come away from courses feeling like you’ve mastered some new technique or brushed up on core skill sets, but you’ll also meet other beauty pros who might be valuable resources or contacts—or new friends! Let’s face it: cosmetology school is crucial for beauty industry professionals, but the wide array of skills you learn there may not be things you practice every day. If you’re like just about every other beauty pro, regardless of your field, you’ll have developed specialties over the years, especially when your “regulars” return time and again for what you do for them. So, brushing up on techniques less commonly practiced will only make you more valuable to new clients—and your old ones who might need a little change of pace. You may also need to take classes to maintain your license. Different states have different requirements, but when it comes to new techniques and standard safety procedures, you may need to become certified or maintain that certification over time. Education for education’s sake is another great reason to keep up to date on your field! But here at Salons de Beauté, we think one of the best reasons to go back to school once in a while is that it primes you to own your very own business. As those who already own salons in Lawton can attest, opening your own salon isn’t easy. You need knowledge beyond how to give a great haircut, the intricacies of gel nails, or the best massage techniques. Taking classes can help not only to educate you in the ins and outs of small business ownership, but also to expand your skill set so that your mini salon suite at Salons de Beauté can really thrive! Salons de Beauté is a space for stylists and beauty pros like you to own their own mini salon and be their own boss. Contact us today to hear about what we can offer you! We all know the stereotype of the salon being a ladies-only space. Whether it’s vintage photos from the fifties of the gals chatting up a storm while they get their hair blow-dried, movies like Steel Magnolias, or just that iconic image of a woman wrapped in a towel, a mud pack on her face and cucumbers on her eyes, grooming beyond a shave and a haircut has traditionally been something only women do. These days, however, men’s grooming is a booming industry. A full 25% of salon customers in 2015 where men, and it was estimated that the men’s grooming industry would bring in $21 billion in revenue in 2016. Much of this revenue is generated via men’s grooming products, given that companies are wisely packaging hair care products, shave products, and even face care products like oils, lotions, toners, and scrubs, to appeal to men. At salons all over the world, haircuts and shaves remain the most popular services among men, but more and more men are also becoming interested in more advanced grooming, requesting facials, massages, and hair removal. This growing men’s grooming market is a golden opportunity for savvy health and beauty pros who want to attract—and retain—new clientele. Let’s be clear—we’re not talking about barbershops here. We’re talking about salons like yours—salons in Lawton—offering services for men, as well as the typical services women enjoy. While barbershops these days cater to men’s interests by featuring cigar bars or sports themes, or by specializing in mustaches, beards, and “manly” manicures, there’s no reason a more standard salon can’t attract a male clientele. There’s a strange old saying in men’s grooming that you should never go to your woman’s hair salon. Here at Salons de Beauté, we think that attitude is old-fashioned. There’s no reason men and women can’t enjoy the same salon, even if they’re dating. In fact, offering a couple’s discount might be just the way to get the significant others of your clients in the door. Just remember, men value frankness. Surveys have shown that 50% of men who are unhappy with a haircut tell their stylist on the spot. So, cultivate an open relationship with your male clients, whether they’re the significant other of a regular, or just walk through the door because you advertise men’s styles and male-oriented grooming products and treatments! Salons de Beauté is the convenient solution for all your grooming needs, whether you’re a manly man, a girly girl, or somewhere in between. Contact us today! Primping ain’t easy. You work in the beauty industry—you know it’s true. Salon workers, managers, and owners face a ton of challenges, including competition from others, and especially the discount cut and color place down the road or “home service products.” It’s also important for them to keep up to date with all of the latest trends, and to devise ways to remain afloat even during times of economic downturn. Recently, a salon management consulting agency in the United Kingdom conducted a survey of 250 salon owners and workers. They asked just what makes running a salon so difficult. The top concerns among workers and owners were losing clients, reduction in the number of services clients ask for, and lagging sales numbers. While each of these problems is unique, with its own unique solution, in the end the complaint comes down to the same thing. 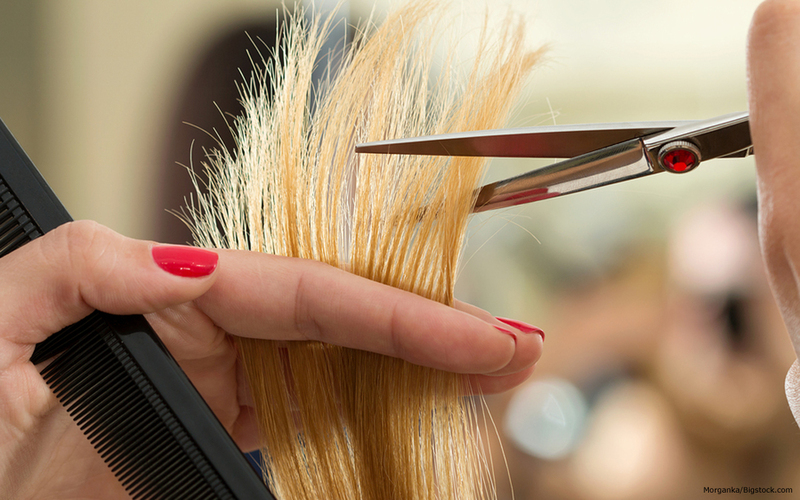 At the end of the week, month, and fiscal year, salons are seeing a downturn in sales. So, what’s a salon owner to do? While here at Salons de Beaute we believe our stylists are artists, unique creators who use medium like nails, hair, skin, and more, the salon industry is a sales industry. While we may not be selling gadgets or gizmos, services are still sales. So, a tip that helps generate revenue for anyone in sales looking to grow their business is to increase your add-on sales. 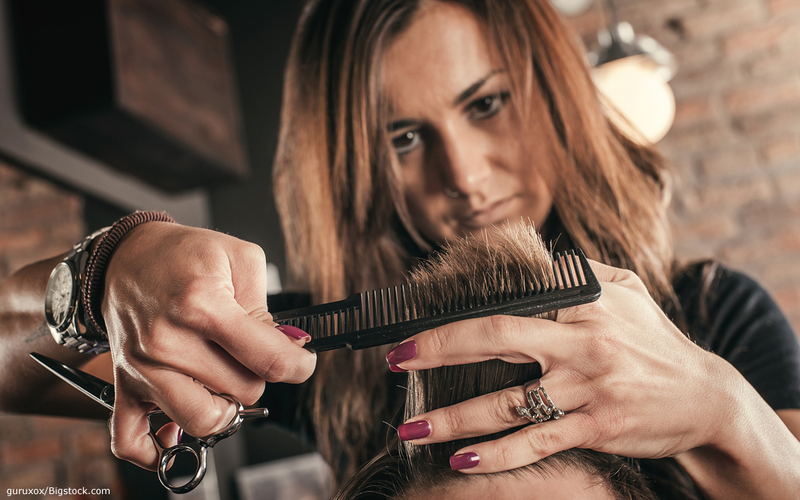 Sometimes called “upselling” or “cross-selling,” these tactics are good ones for salon workers or owners like you to increase your revenue. As an experienced salon professional, your knowledge of your craft and your products makes you a valued health and beauty expert—someone your clients can rely on for good advice and quality services. You can monetize that trust by upselling services. Examples of upselling would be adding a color to a cut, a brow waxing to a facial, or a foot massage to a mani/pedi. You don’t have to be aggressive about it; a good approach is urging your clients to take care of themselves—to treat themselves. They’re worth it, after all! You can also cross-sell products that will match your services. Examples of cross-selling would be selling your clients color-protecting shampoo after you dye their hair, recommending a jar of cuticle cream after a manicure, or selling them a packaged mud mask to keep that facial looking fresh. Listening to your clients’ needs and recommending products and services that will serve those interests will make you seem responsive, rather than mercenary. Successful sales like these won’t just move products off the shelf of your salon suite in Lawton—they’ll establish you as an authority among your clientele. Being a reliable source of health and beauty information will bring your clients back for more… and potentially increase your client base. Think about it: when your happy customers aren’t just raving about your amazing haircuts, but also about the great products they pick up at your salon, new people will have two motivations to walk in the door for a service! Salons de Beauté is renting to self-motivated stylists and beauty professionals just like you. Our mini salon suites are ideal for small business-minded pros who are eager to be their own boss. Contact us today! Most of us hold the idea of the “new year” in high regard. It’s a symbolic time, when we think about new beginnings and new opportunities. We have high hopes for just about everything—our health, our families, our love lives… and also our jobs. One of the top resolutions people make come the start of the new year is to improve their employment situation. To take risks on new opportunities in the workplace. It can be scary enough to make the leap from one position to another—and if you want to make the jump from employee to small business owner, it can feel terrifying! But in the end, it can really be worth it… and when you have good resources like Salons de Beauté to help you, it’s more in reach than ever before! Why do we say Salons de Beauté is a resource for self-motivated stylists looking to open a salon in Lawton? First, and most importantly, Salons de Beauté leases mini salon suites to stylists just like you, making it easier for you to open and run a salon. And our reasonable rates, great working space, and community of like-minded small business entrepreneurs will help to support your business even after you’ve signed on the bottom line. Our social media, as well as this very blog, is also intended to be a resource for our community—and by community, we mean the stylists at Salons de Beauté, and the broader community of stylists who work at salons in Lawton! We strive to be a valuable resource for stylists, colorists, nail techs, massage therapists, and aestheticians everywhere. So, when is the best time to make the big change from employee to owner and start your own mini salon business? It’s not just about dreaming of setting your own hours, managing your own client list, and keeping more of your money—though those are all perks, to be sure. Business experts will say that striking out on your own is the best move when you no longer feel you’re growing or learning in your current position. That’s when you’re ready for a big change. It’s also crucial to be certain you’d rather work sixty hours a week for yourself, rather than forty for someone else. And if possible, it’s good to be in a stable place in your life, with the support of your family and friends! In the end, however, it’s mostly about when you have the drive and determination to make your own small business happen. No one ever has all their ducks in a row, no one is ever 100% ready for something. Waiting for the stars to align may keep you from pursuing your dreams indefinitely. So if you’re interested, make a New Year’s resolution to come to Salons de Beauté and talk to us about what it would take to open your very own salon in Lawton! Salons de Beauté in Lawton is leasing mini salon suites to stylists interested in being their own boss in the new year. Contact us today and ask us about our reasonable rates! 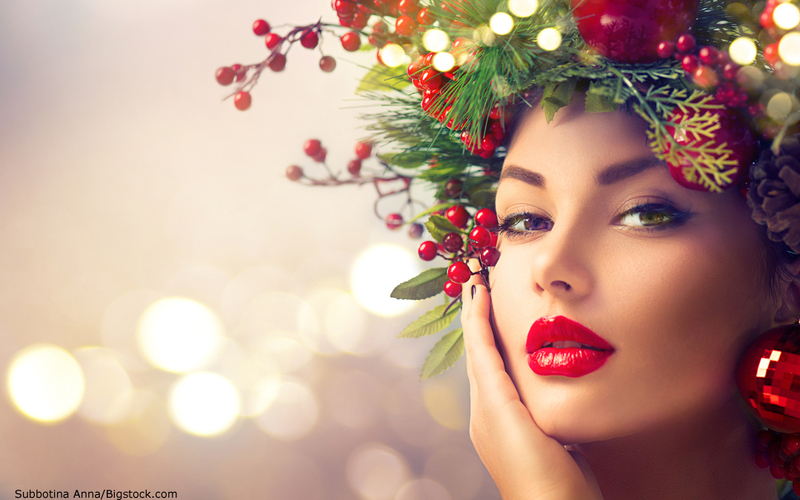 The holiday season is a busy time for salon owners, hair stylists, nail techs, and aestheticians. 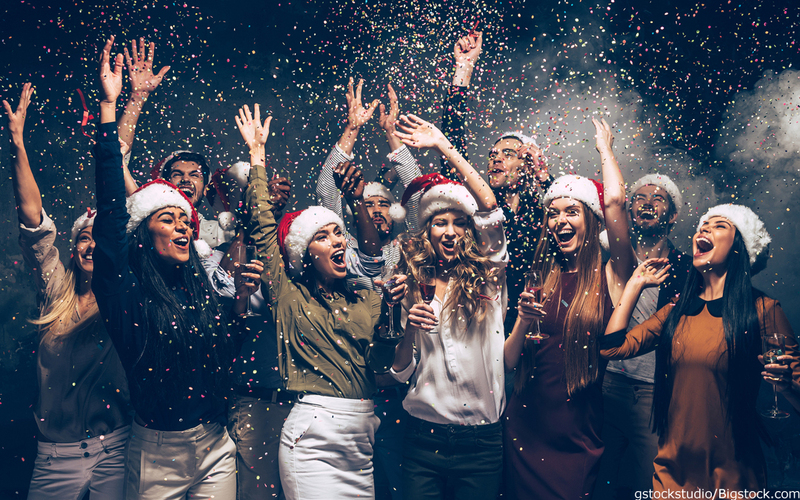 People have a lot of parties to attend between Thanksgiving and the New Year, and they want to look their best for them. That means getting haircuts and fresh color, festive nails, facials, and brow waxing. So if you work in one of our local salons in Lawton, or have just opened your own mini salon suite with Salons de Beauté, get ready for a big rush—and get excited for the extra income opportunities the holiday season provides small business owners just like you. If you really want to earn a few extra bucks around the holidays, consider doing some easy holiday marketing both online and in-store. That’s right! You should absolutely deck the halls of your salon with boughs of holly, festive lights, and other odds and ends that put people in the mind of giving (and spending). Some people like to go all out with that sort of thing, using tinsel and even Christmas music to put people in the right frame of mind. Others like a subtler touch—a few holiday decorations, but no Christmas music, to make their spa an oasis from the holiday hustle and bustle. Embrace your individual style! But while you’re decorating your salon, don’t forget that your social network is also a great place for holiday marketing. That’s right—your social network! You can really use it to your advantage this time of year. First and foremost, let your social media followers know you’re open (and eager!) for business during the holidays. Make sure to note any changes in your days or hours, but also let them know your schedule is already filling up fast. That sort of information will inspire your clients to give you a call and make sure their spot is reserved. The holidays are also a great time to move your stock. 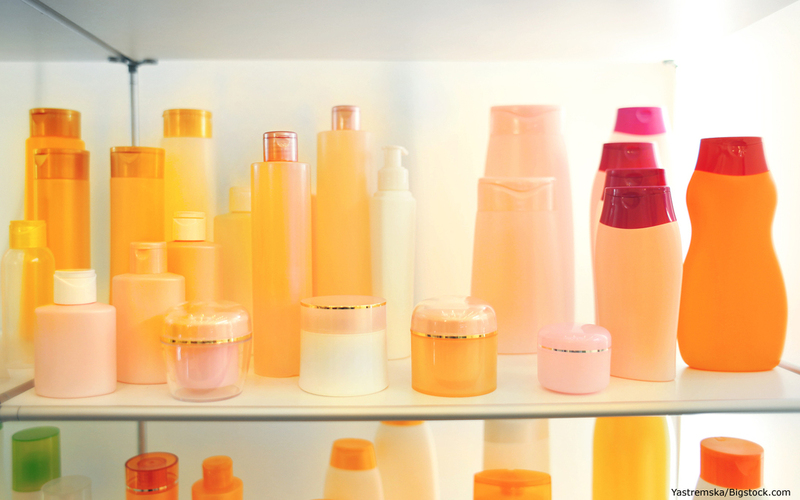 Try pushing your retail salon products to the maximum. Put everything you have out in a nice holiday display, and run two-for-one specials that will have your clients buying what they need, but also considering their friends and family. A sign in-store or a subtle hint while they’re in the chair can be great motivators for clients to open their pocketbooks, but again, don’t forget your all-important social media. An exclusive online coupon can get people in the door. Salon products are just the sort of thing people like to have on hand to give to friends, both as a main gift or a last-minute present, so there’s no harm in suggesting how nice it is to find a luxury conditioner or sparkly nail polish under the tree. Remember that the holidays are a time for joy and giving and family—and here at Salons de Beauté, we consider all our clients family. So, happy holidays from us to you! Salons de Beauté is leasing now to stylists just like you. Contact us today and maybe Santa will put your very own mini salon suite under your tree this year! How Much Should You Tip Hairstylists at Salons in Lawton? Tipping is one of those issues that comes up time and again for anyone who works in, or patronizes, the service industry. So, in other words, just about everyone! Whether you’re for tipping or against it in principle, tipping people who serve you is a part of life here in the U.S., so it’s good to be acquainted with why tipping is so important, and how to tip appropriately. The question of how much to tip is a difficult one. People have different philosophies of tipping all over the country, and around the world, too. So, what’s the best rule of thumb when it comes to tipping? In the end, tipping is up to the discretion of the patron, and should be proportionate to how good the service received was. Typically, a 15-20% tip is considered to be a reflection of good service. At a salon, tipping a stylist 15% if you just come in for a cut or another sort of service as a one-time thing is perfectly fine. As a relationship develops between you and your stylist, however, it’s suggested you bump that tip to 20%, or even 25% or 30%. While that may seem like a large tip, remember how hard your stylist works to keep you and all of his or her clients looking their best! It’s not easy, standing all day, using your hands and forearms and shoulders and fingers. A nice tip shows your stylist you appreciate what they’re doing for you. It’s also great, if you’re shampooed by someone else, to tip them three to five dollars for the service. Why is tipping so crucial? Many people who work in the service industry need those tips to supplement their income. If you’ve never worked in the service industry, or did so as a first job when you were still living at home, it’s easy to forget how much an extra bit of cash can help. Yep—cash! It’s always best to tip in cash, or at least be prepared to do so. Even today, some salons in Lawton aren’t equipped to handle tips paid via credit or debit card—so if you don’t carry a bit of cash, you risk stiffing your stylist. When enough people do that in a day, or a week, it can really throw budgets out of whack, since stylists and other service industry professionals often plan their budgets to account for the tips they expect to receive. If you’re lucky enough to have a relationship with your stylist, it’s a good idea to consider giving them a holiday gift, too, in the form of a bit of extra cash. The holiday season is one where you as a client are likely going to a lot of parties where you’ll need to look sharp. Your stylist is undoubtedly working longer hours than normal, and feeling the holiday pinch in regards to gifts and other holiday expenses, just like the rest of us. Salons de Beauté in Lawton is a great place for stylists to start their career as a salon owner by leasing their own mini salon suite. Contact us today to see how we can help you own your own salon business! Have You Thought About the Benefits of Joining a Beauty Industry Trade Association? One of the most common pieces of advice given to new or aspiring business owners is also the best: join a trade organization. Joining a trade organization is a tried and true method of increasing your understanding of your business, providing you with ideas for how to grow it, as well as for getting ahead in the industry. For aspiring stylists looking to open salons in Lawton, joining a trade organization is a great way to get to know your future business by acquiring information and advice from people who have been where you are. Trade organizations usually offer advice on things like marketing, as well as providing opportunities to network and attend workshops, seminars, and conferences on special topics within your industry. 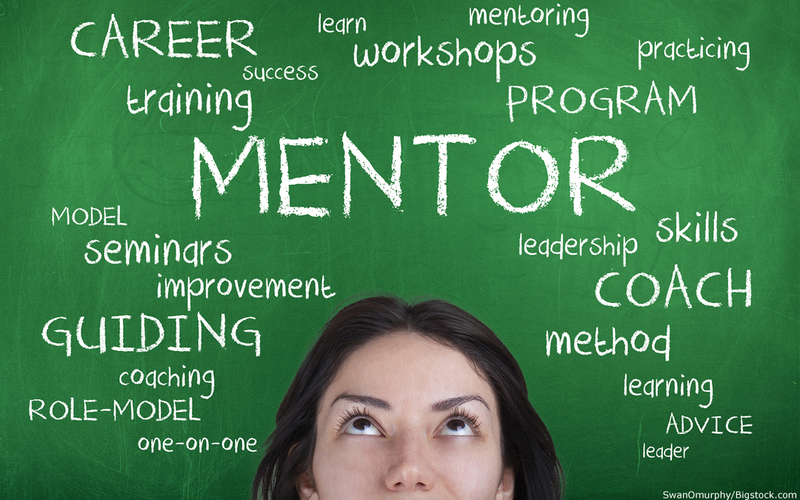 There are usually even mentorship opportunities! So, if you’re standing behind a salon chair today but see yourself leasing a space and running your own business tomorrow, you should definitely consider joining an organization full of members who can give you advice on how to make the leap. And even if you already own your own salon in Lawton, or one of the mini salon suites we have here at Salons de Beauté, there’s no time like the present to expand your horizons by joining a trade organization! There are other compelling reasons to join a trade organization. Many have online forums for their members to discuss topics related to business, including those that might not otherwise be on your radar. Sometimes legislation can be introduced that might affect your business in strange ways—trade organizations stay on top of such matters. They’ll also be up-to-date on what sorts of charitable organizations you can donate your time to in order to gain exposure and even tax benefits. They’re also often the best resource for locating ongoing education and training opportunities. 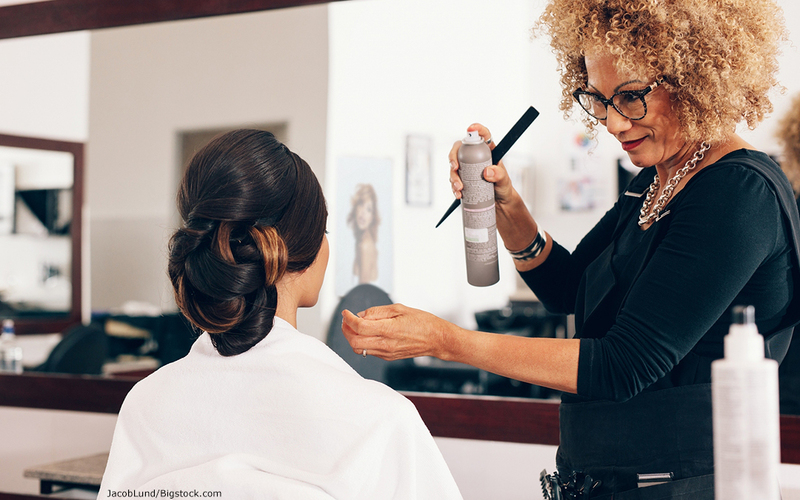 The Professional Beauty Association provides industry content helpful to salon owners and those who hope to own their own salon or mini salon suite one day. There’s also the Association of Cosmetology Salon Professionals. Their mission is to promote and support professionalism in the cosmetology, esthetics, and nail industries. For Colorists, there’s the American Board of Certified Hair Colorists. Those who do cuts and colors may find a good resource in the Hair Artist Association. These are only a few of the many great trade organizations that exist to support salon professionals just like you. Joining a beauty or salon trade organization can be a great first step in achieving your dream of being a salon owner, or a fantastic move to make if you’re already established in your own salon in Lawton but want to grow your business. Salons de Beauté is leasing mini salon suites in Lawton to stylists like you. Contact us today! Great Holiday Gift Ideas for Your Hair Stylist! Salons de Beauté features 26 individual mini salon suites for hair stylists, nail techs, aestheticians, and massage and aroma therapists, located in the Junction Shopping Center on E. Gore Boulevard, near Storage 'R' Us, and across from the Apache Casino Hotel.